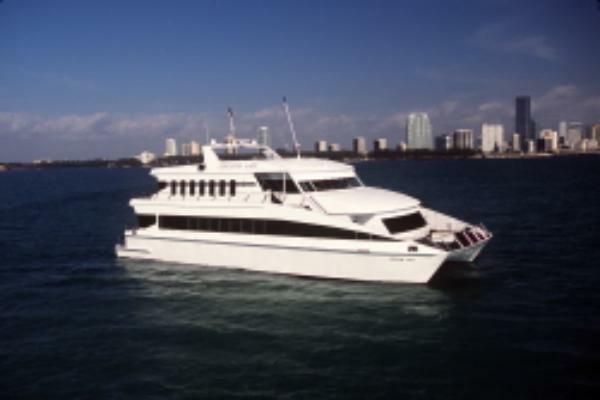 This information is provided by Biscayne Lady Yacht Charters. Please confirm all details direct with them prior to booking. Yachting Limited neither endorses Biscayne Lady Yacht Charters nor guarantees the accuracy of this listing. The Biscayne Lady is a 111-foot, 400 passenger, Austal luxury yacht, offering enchanting ambiance, exquisite cuisine, and excellent service. 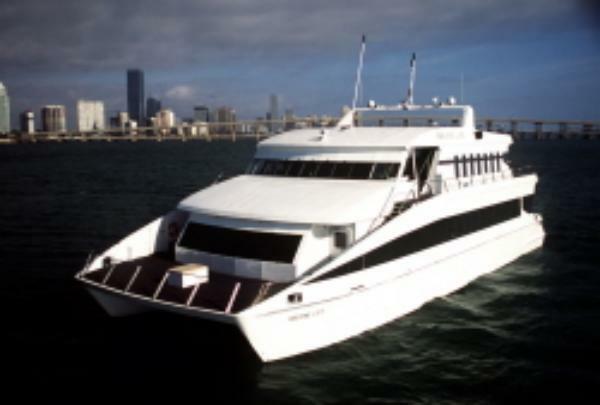 While you cruise along South Florida�s coast, you�ll delight in beautiful sunsets and amazing views of the Miami skyline. Dine and dance in her spacious grand ballroom; with custom built 8-ft ceilings and panoramic windows offering continually changing views from every table. Biscayne Lady Yacht Charters offers everything from a simple cocktail cruise to a grand buffet or an elegant sit-down dinner service. 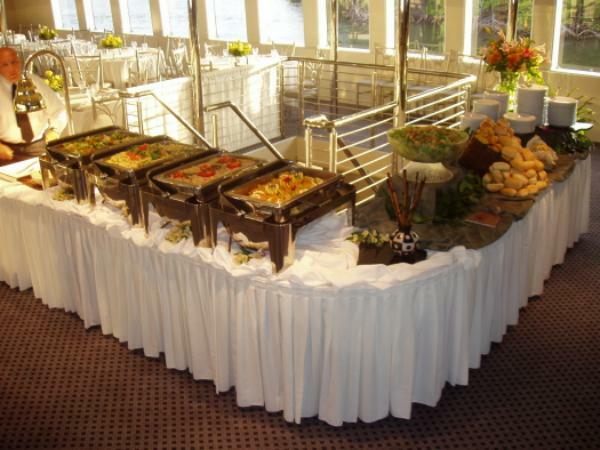 Biscayne Lady's exquisite menu options are specially prepared by our very own executive chef. Enjoy a magnificent variety of elegant butler passed hors d'oeuvres, signature entrees, classic side dishes, and a decadent array of desserts. The Biscayne Lady also offers fine wines and champagnes, bar classics and specialty drinks to compliment any meal. All dining room tables are finely adorned with complimentary classic ivory linens and fresh flower centerpieces. 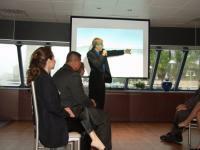 Biscayne Lady Yacht Charters understands corporate image and the art of entertainment. Our charter consultants' attention to detail, team coordination, and unparalleled event production experience will deliver the perfect merger of business and pleasure for your guests. Why not give your corporate clients a change of scenery the next time you are called upon to plan a sales meeting, awards ceremony, or special event. 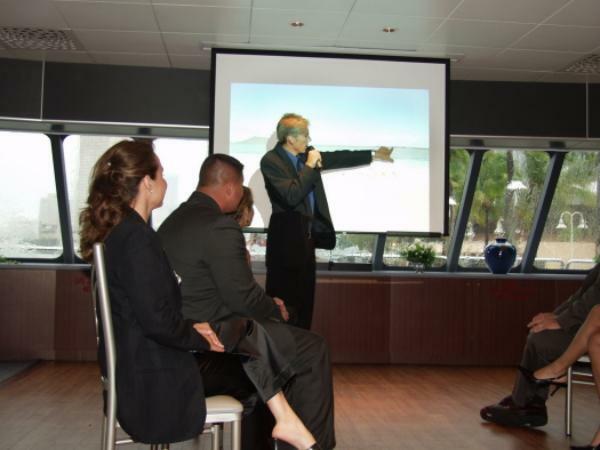 The Biscayne Lady is the ideal venue for your next important conference or corporate entertainment event. 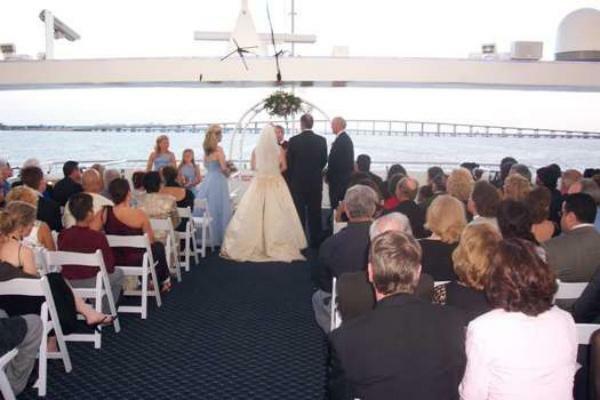 Biscayne Lady Yacht Charters' experienced charter consultants understand your wedding day is one of the most important days of your life. You can rest assured that you will receive first class service, exquisite cuisine, and outstanding entertainment aboard the Biscayne Lady. Each ceremony and/or reception is designed to reflect your personal style and satisfy your needs. There are no user reviews for Biscayne Lady Yacht Charters yet. Be the first to add a review.